SAP with its Leonardo offering is enabling customers to transform their business by providing intelligent systems that would integrate with the core enterprise business systems creating endless possibilities to the customers to maximise their business values. 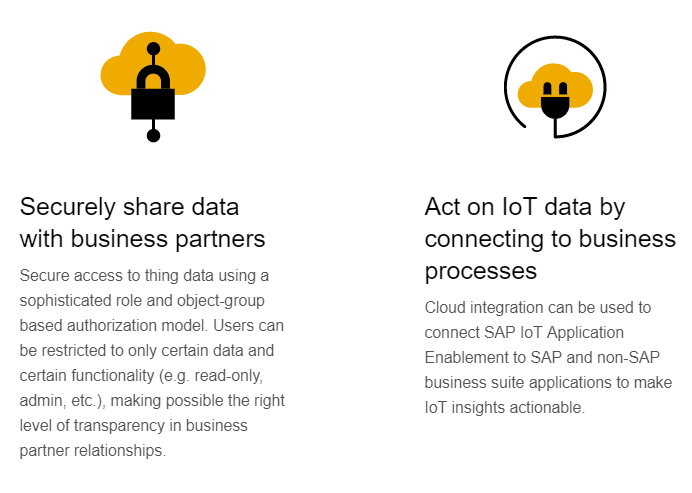 On the IoT front, SAP Leonardo provides two major components. One is Leonardo IoT Edge and the other is the Leonardo IoT foundation. You can find more details from my previous blog here. 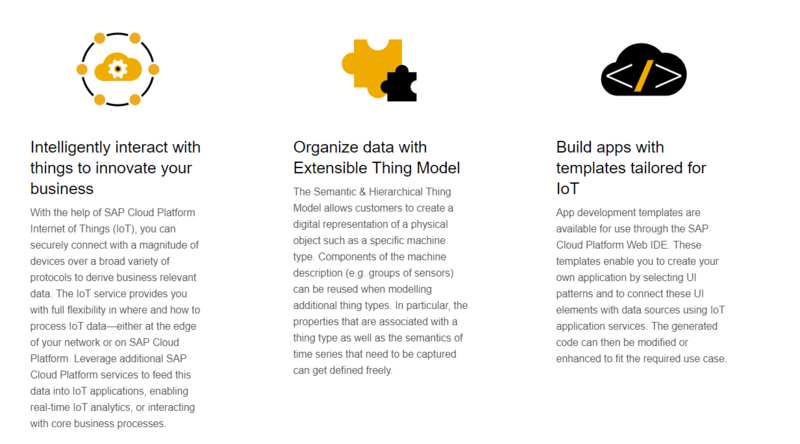 In this blog, I would like to give a brief idea on the business services offerings on the SAP Leonardo IoT Foundation. What is the need for Business services or IoT Application enablement (AE) in the IoT scenario where the technical services already offers the device management, connectivity and messaging? I would simply answer this question with an example. Consider there is a smart mixer grinder that could send some IoT data to the cloud. In this case the IoT Technical services would see the mixer grinder as a mere hardware device that could send some data. It is all technical aspects that are dealt in the Technical services. There is no semantic part to it. On the other hand the business services provides a business context, semantics and enriches the details of the piece of hardware which would make sense in a business scenario. Simply this is the layer in which a device is transformed into a thing. 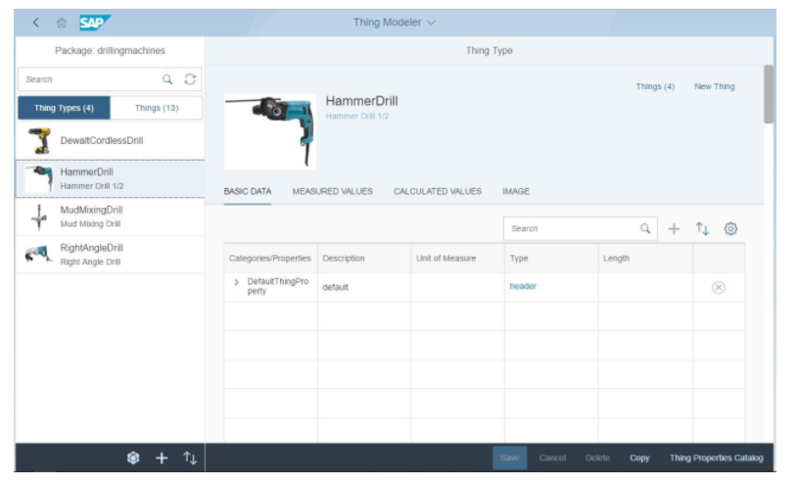 The device is now given a proper business context – as mixer grinder of XYZ type which can have meta data properties , time series properties, reuse the common property sets, etc. There is a strong synchronization that is established between the technical services (IoT services) and the business services (IoT AE) that is very much essential to build an end to end IoT business application. 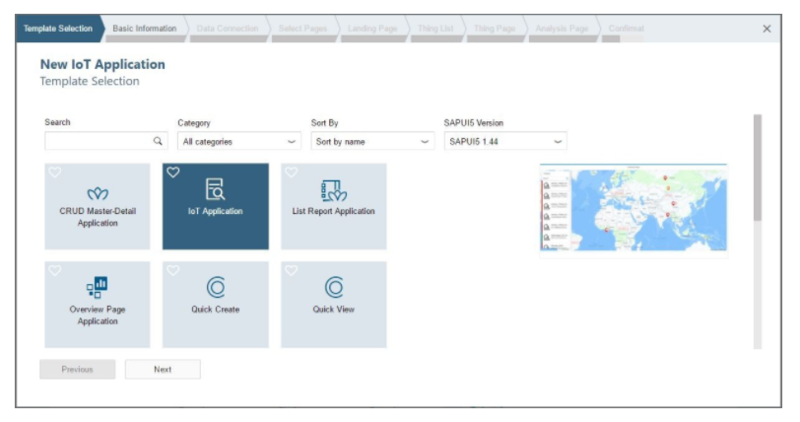 The business services provides UI (Thing Model) to easily construct the THINGS, assign property sets, reuse the properties, check for the connectivity,etc. The exact replica of the physical thing can be created using the thing model as it has the capabilities to provide as much details as possible to recreate the physical thing in the virtual world. The Business services offers UI templates for Web IDE to quickly prototype the IoT applications by leveraging the strong integration with the underlying THINGS which makes the development faster as the controls that are most often used in an IoT application are readily available to create a beautiful and quick IoT application. 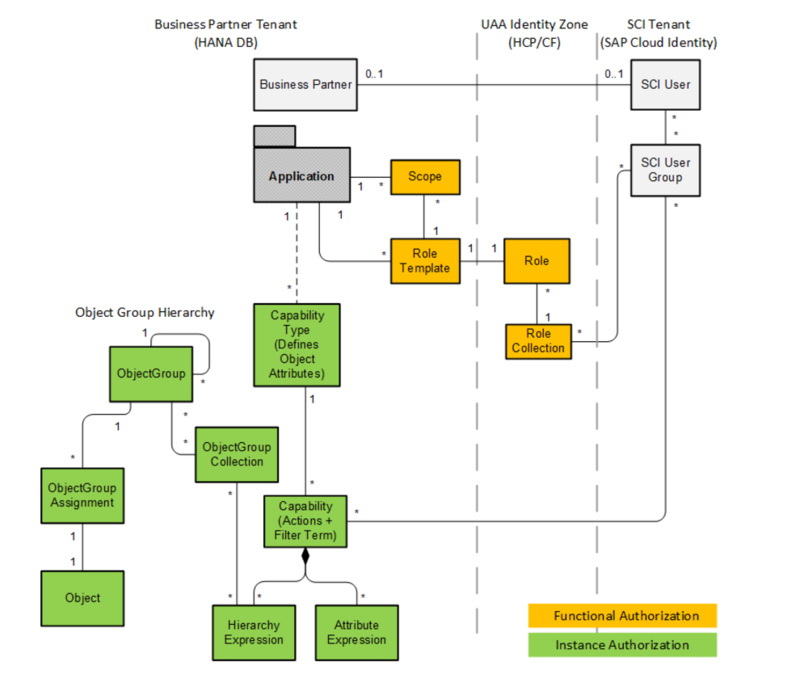 The security and authorization concept is very granular where one can even define the users to have access to only to few Thing IDs by grouping them together as a logical group and assigning scopes, roles and privileges. The storage and management of the data (IoT data) are taken care by the business services providing non – aggregated data store, aggregated data store, cold store, etc. The classification of the data is based on the retention period that could be defined as per the requirement. Querying the time series data with different filters and options. Location is one of the inseparable component in any IoT scenario. IoT AE provides services to define and manage locations such as defining a location, Read a location, match all location, etc. There are many more services that are provided by the enablement layer allowing the customers to easily leverage the business services to build IoT use cases effectively with minimal development time. NOTE: These are purely my own personal view. Thanks for this informative blog. Can you elaborate Location services more. Does it cover localization as well? Hi Amar. Thanks for the comment. Location service of IoT AE covers the basic postal address and geo co-ordinates data of a location. APIs are available to read, create , edit and delete the locations and also to get the matching locations based on filters. 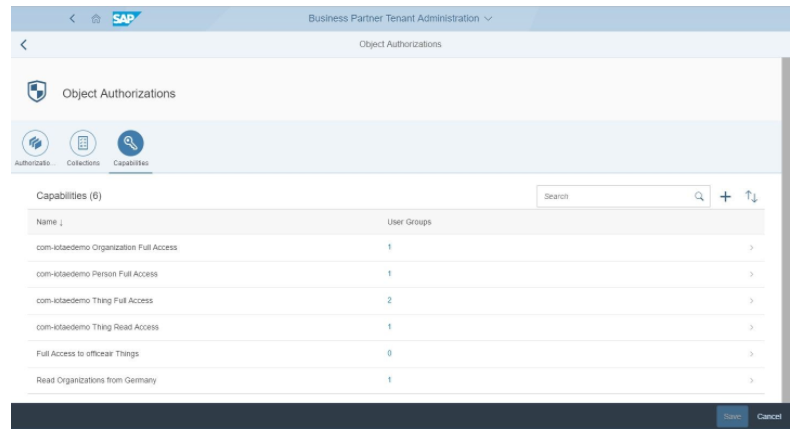 How Business partner from ( S/4 HANA ) will link to the thing ( SAP IoT AE ) and also business partner linked to authorization object of particular thing . Would be great with Simple example .